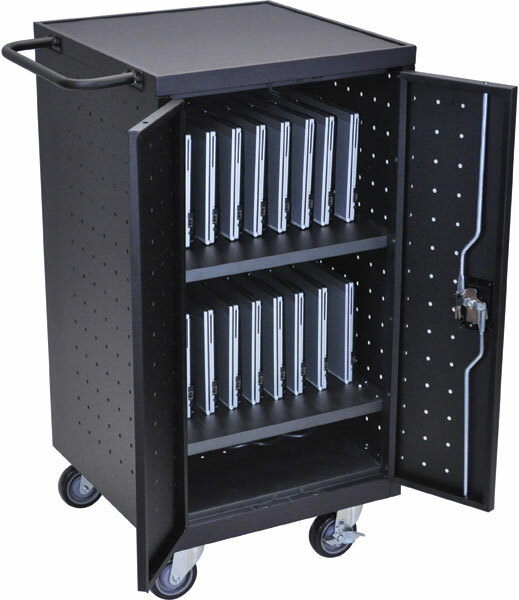 Charge 18 full-size laptops or tablets in this secure and mobile charging cart. Slot sizes of 1.75"W x 16"D x 12"H are large enough to accommodate full-size laptops or tablets with thick, protective cases. Locking full-size rear door for access to power strips and plenty of room for cable management. Cart ships assembled, just attach the handle and casters after unpacking.